Season the minced turkey and shape into 8 burgers. Mix honey, mustard and lemon juice in a bowl. 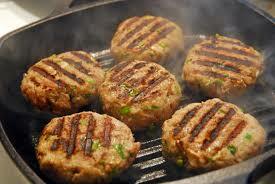 Heat oil in a frying pan and cook turkey burgers for 5 minutes on each side. Serve burgers with honey mustard dressing.